Navy Yard Equipment #14, Nov. 28, 1941. 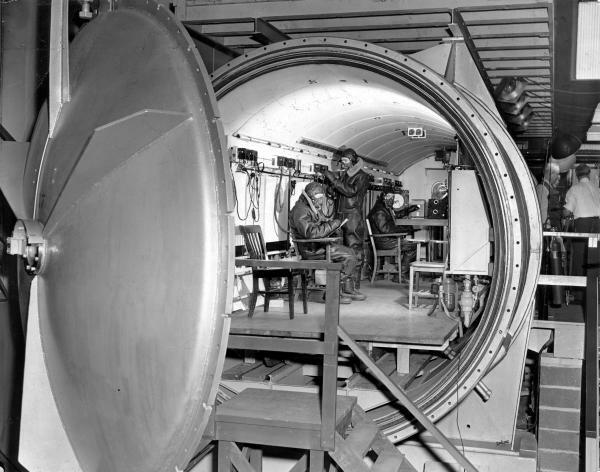 High altitude pressure chamber in testing laboratories of the Naval Experimental Station, Philadelphia Navy Yard. Some of the hundreds of guns stored at the Philadelphia Naval Shipyard awaiting distribution and installation aboard U.S. freighters under terms of recently enacted legislation.